خطأ لوا في وحدة:Location_map على السطر 501: Unable to find the specified location map definition. Neither "Module:Location map/data/Serbia" nor "Template:Location map Serbia" exists. 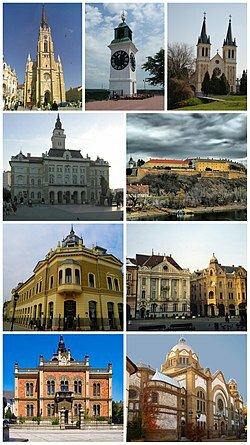 نوڤى ساد (صربى:Нови Сад) (انجليزى:Novi Sad), ده مدينه صربيه, آتاسست المدينه سنه 1694, عدد سكان البنى آدمين 277,522 انسان.